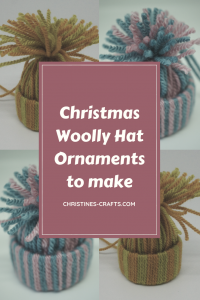 These woolly hat ornaments are so easy to make and look fantastic hanging from a Christmas tree. 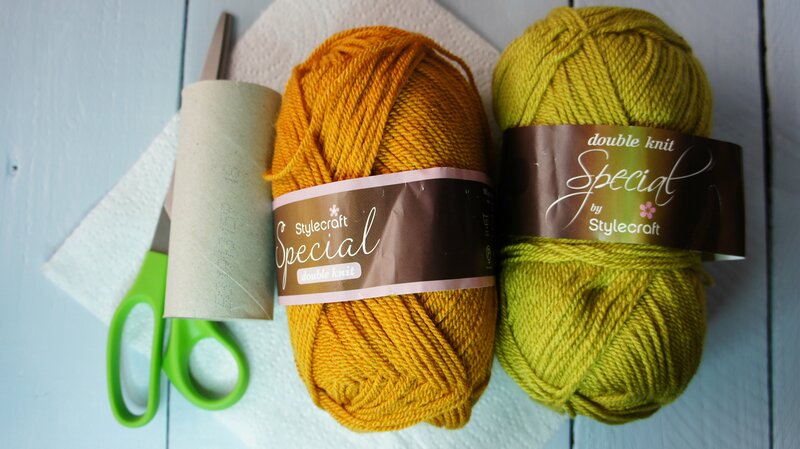 You can use up all your old yarn scraps or buy yarn to match your decor. They are great for kids to make and cost so little. I will show you exactly how to make them. 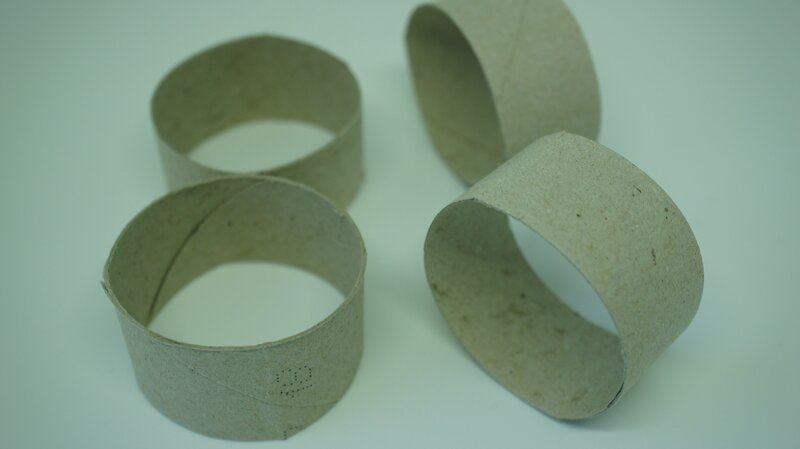 Cut your toilet or kitchen roll tube down to approximately 2.5cm (1″). I got 4 out of one toilet roll tube. 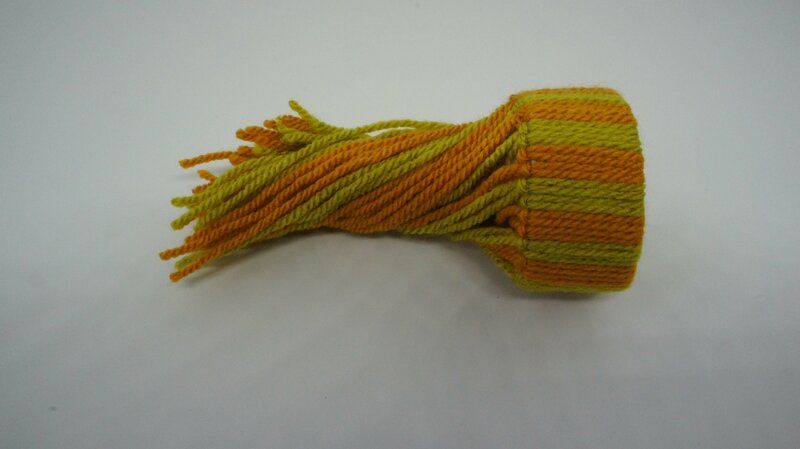 Cut approximately 40 lengths of yarn 30cm (12″) long. If you are doing a pattern then consider how many of each colour you may need. For this hat I did stripes so I cut 20 of each colour. 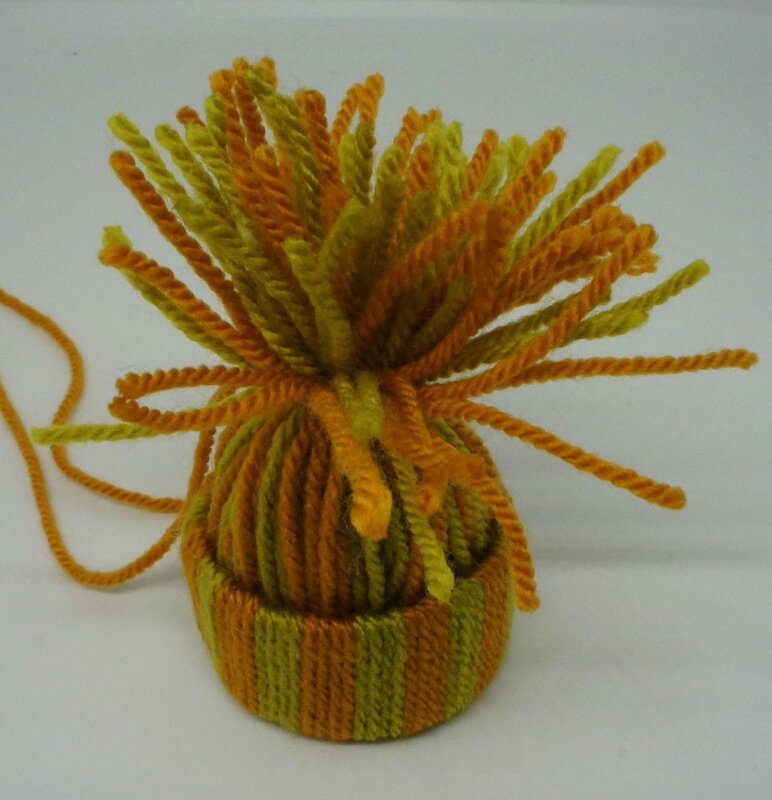 You need to form the knots that make the hat. 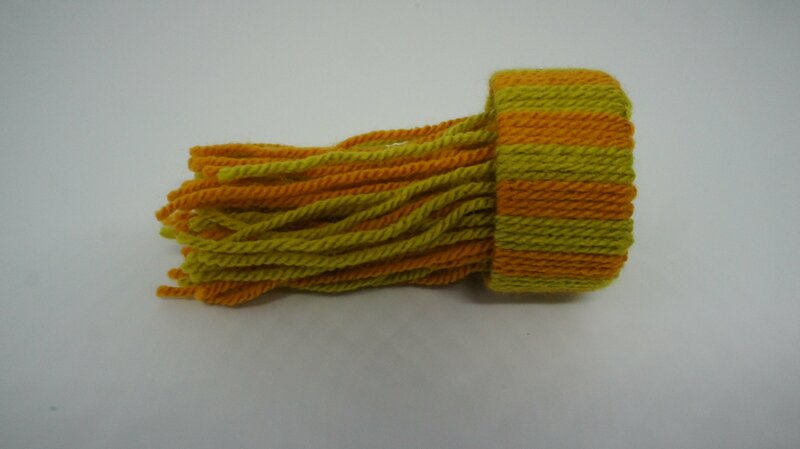 Firstly take one of the cut pieces of tube and one piece of cut yarn. 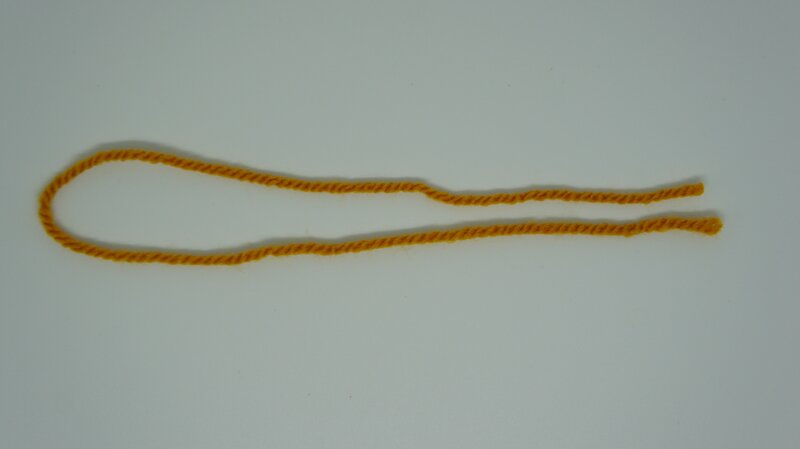 Fold the yarn in half. 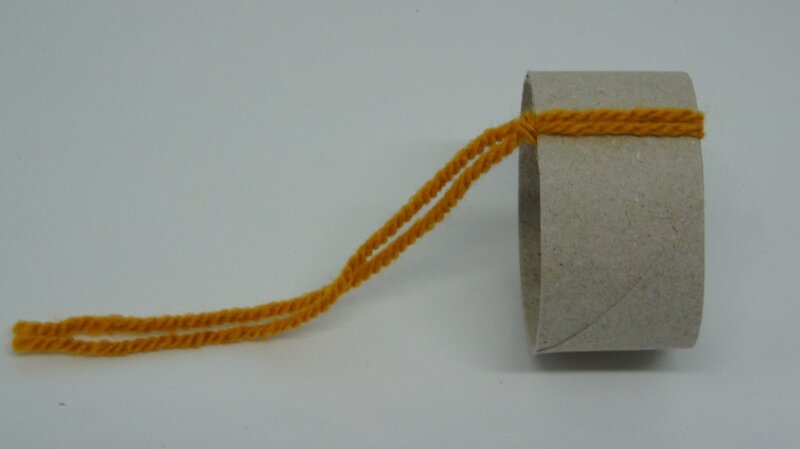 Place the folded yarn through the tube. 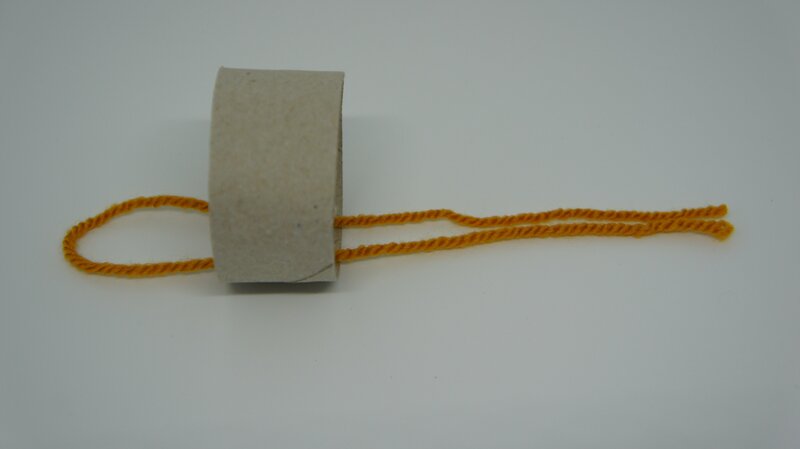 Now wrap the ends of the yarn around the tube and pull them through the loop to form a knot. Pull it tight. The knot should be at the edge of the tube. Now you just have to repeat this until you are all the way around the tube. If you are doing a pattern make sure you stick to your pattern. 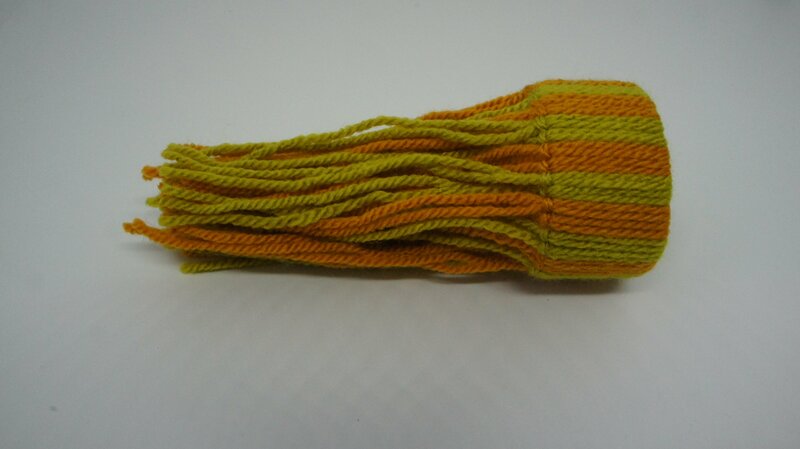 In this case I did 2 of each colour to form the stripes. Ensure that you do enough yarn lengths to completely cover the tube. You do not want to be able to see the cardboard tube at all. 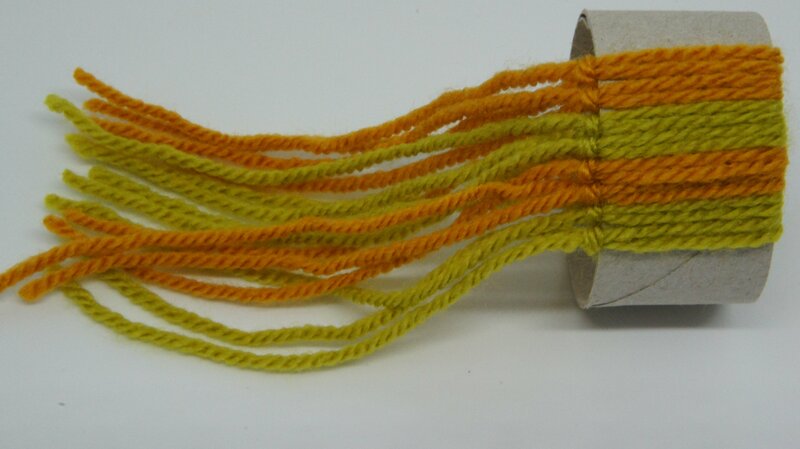 Push the twisted yarns through the tube to the other side. 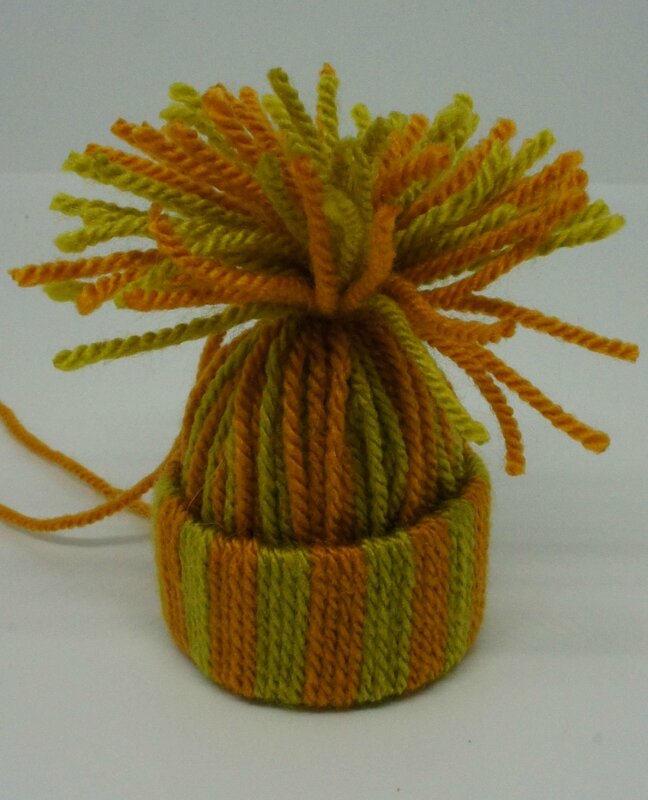 The knots are now at the ‘bottom’ of the hat. 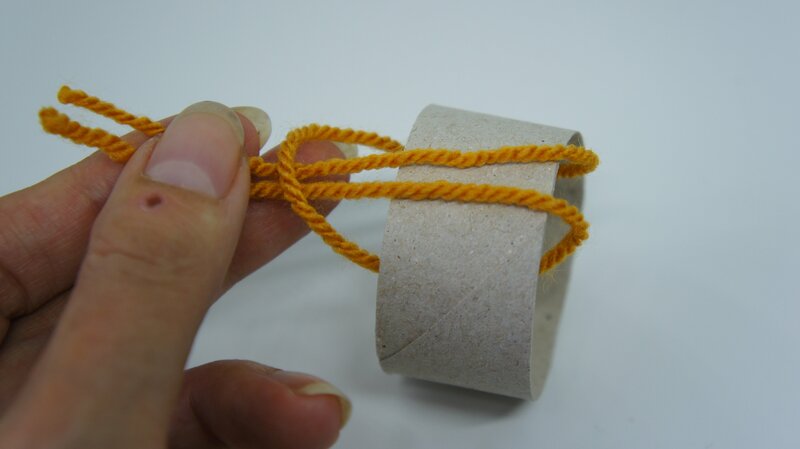 Now straighten the yarns and tie them together approximately 3cm (1″ to 1.25″) from the tube. 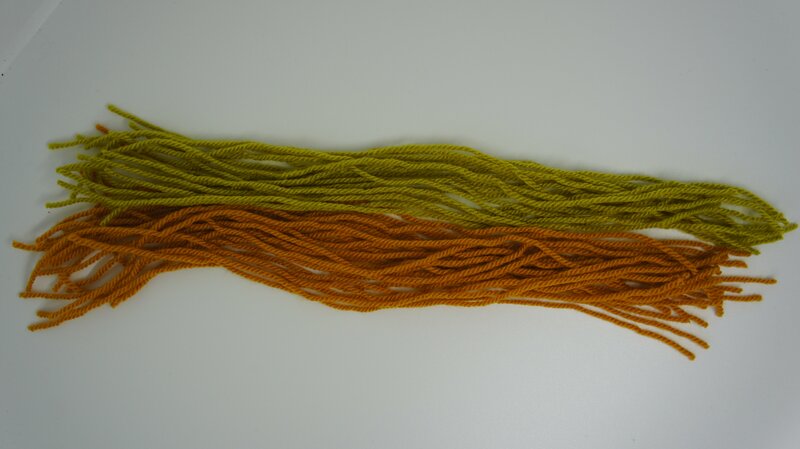 I used a long length of one of the yarns. This will also form the hanging thread. To make sure your hat keeps a nice shape push a little tissue paper into the hat. 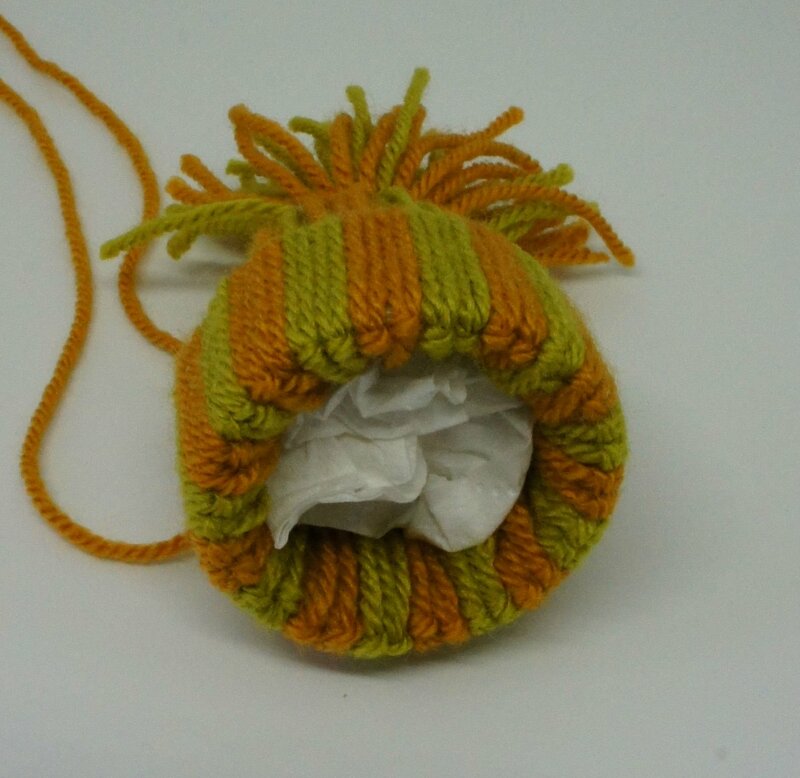 Be careful to support the hat shape without pushing the tissue paper between the yarns. You do not want to be able to see it through the hat. 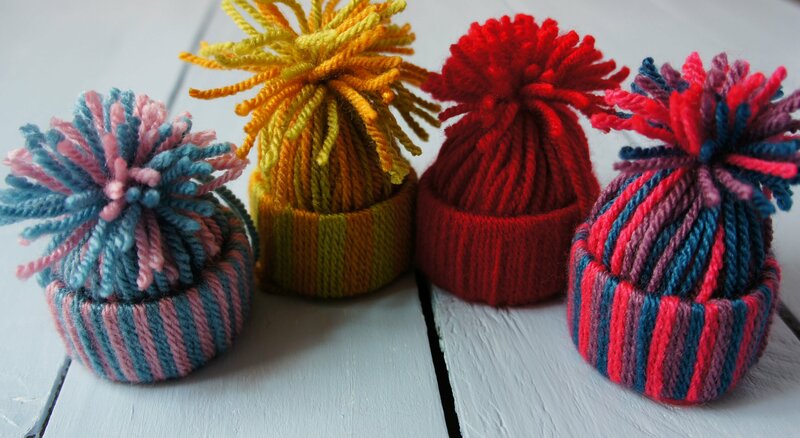 Finally trim off the yarn at the top of the hat to form your pom pom. It is your choice how long you want them. I have made four hats and tried different lengths for each. I prefer the shorter pom pom on the pink and blue hat! 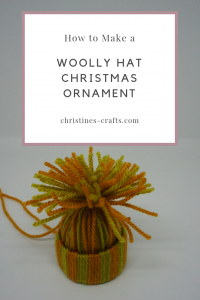 These woolly hat ornaments are really easy to make and are great for kids to make. They get a very professional looking result really quickly. They make lovely gifts as well as complimenting your own Christmas decor. So have a go and remember to pin this article so that you can find the instructions again. I would love to hear about your great hats!